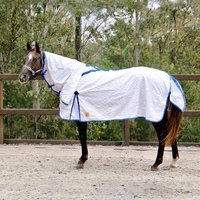 This rug is a great combination between a mesh combo and a polyester combo and can be used all year round. 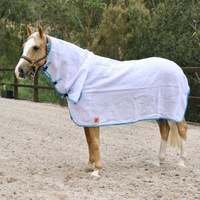 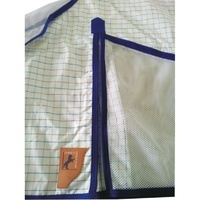 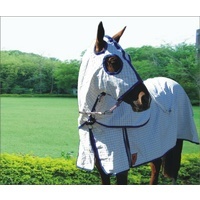 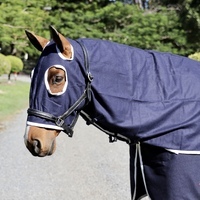 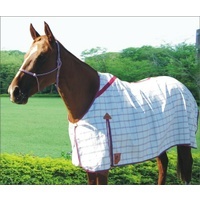 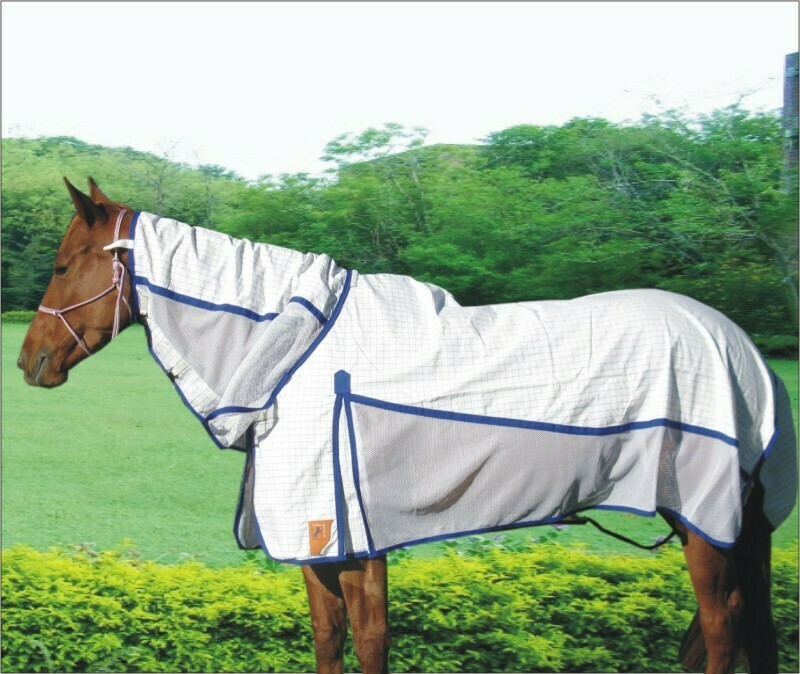 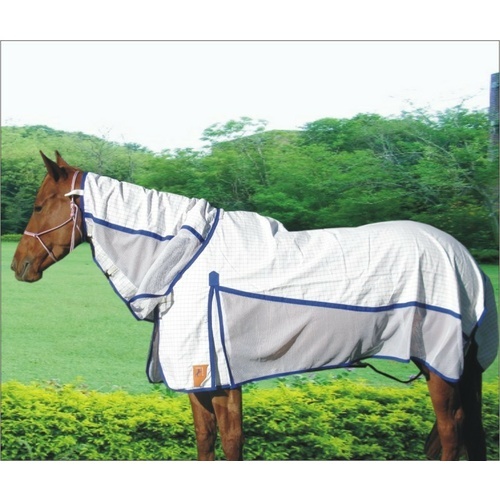 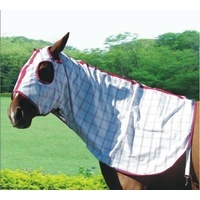 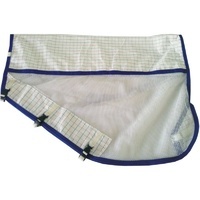 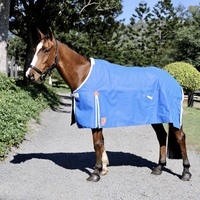 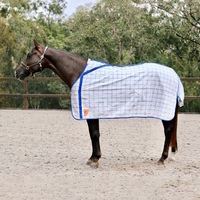 The insertions of our special weave mesh fabric allow perfect flow of air inside the rug and protect your horse from the harsh Australian sun & insects while still keeping your horse cool on those warmer days. 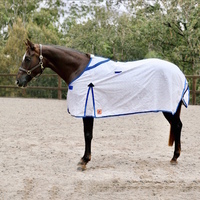 This rug is made using a 310 Gsm Polyester Rip-stop Rose & Royal Blue check fabric and our specially designed Polyester mesh fabric. 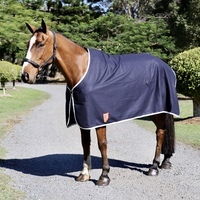 The rug is fitted with quality metal and plastic fittings and has a generous neck size along with shoulder gussets that will give your horse that extra freedom of movement. 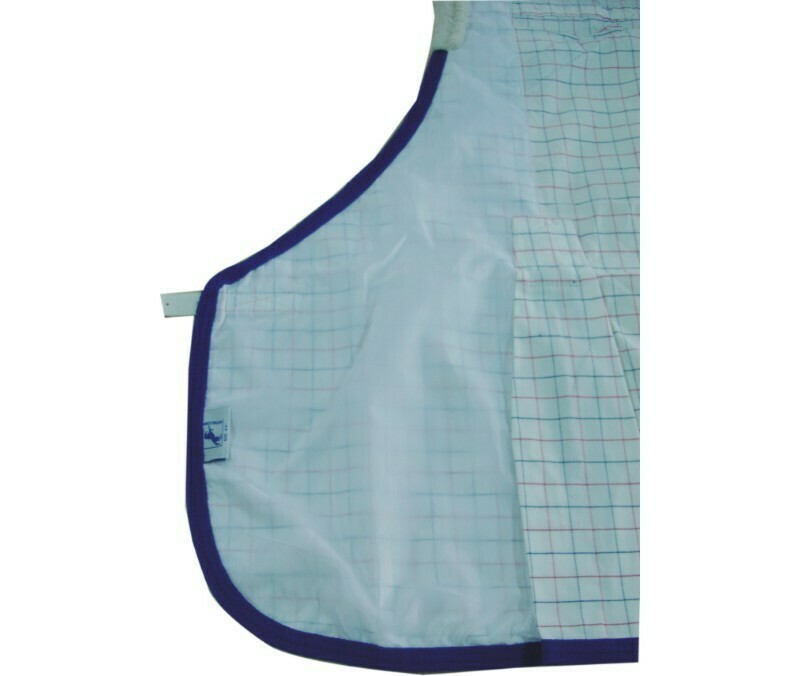 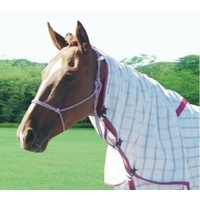 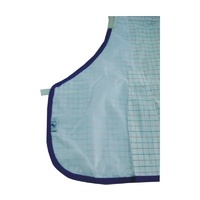 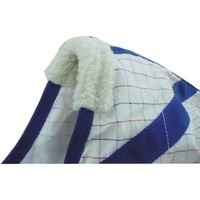 A soft 70D lining has been used at the shoulders and mane to prevent rubbing. 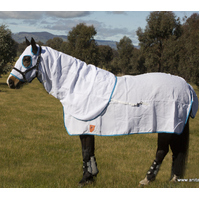 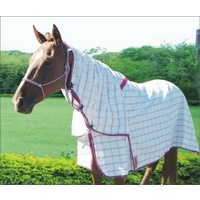 This summer combo is ideal for use as a paddock rug or stable rug. 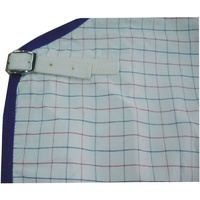 310 Gsm Rip-stop Polyester fabric, in a vibrant Rose & Royal Blue Design. 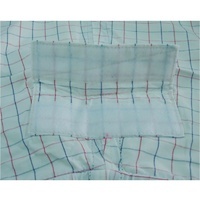 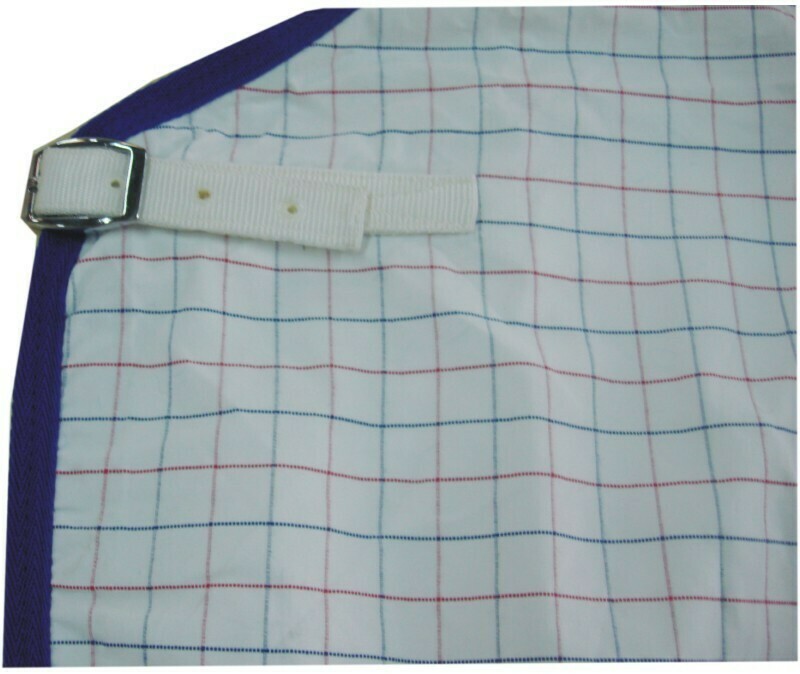 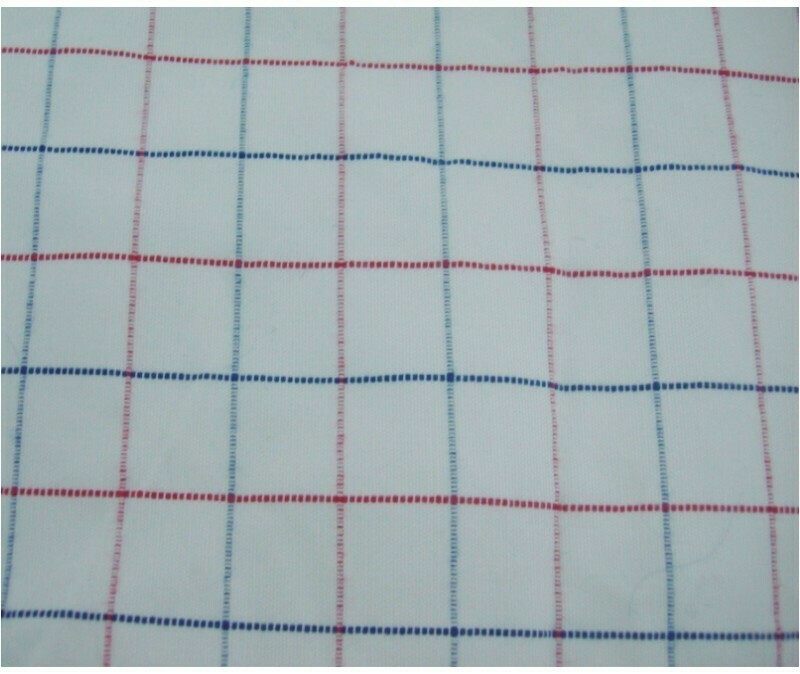 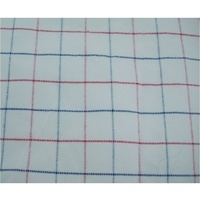 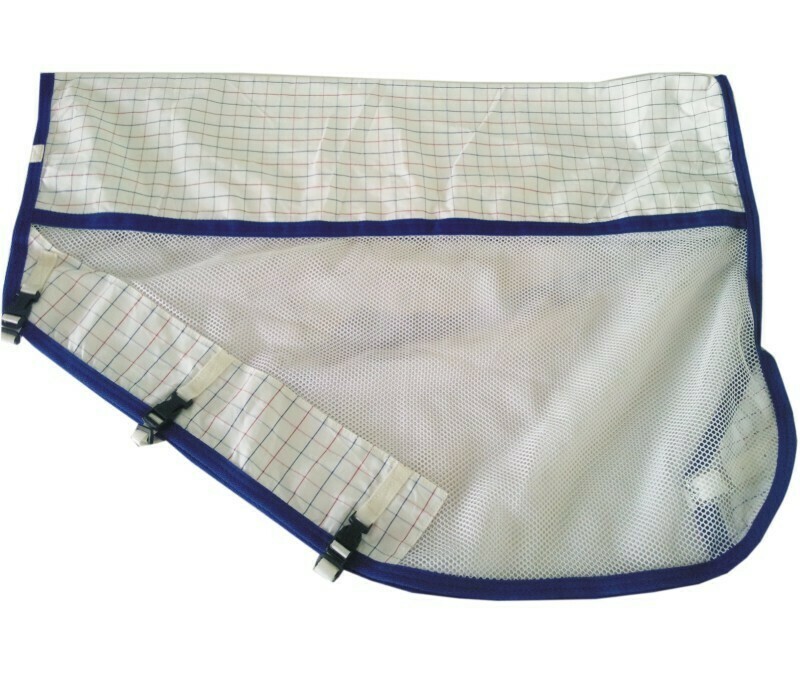 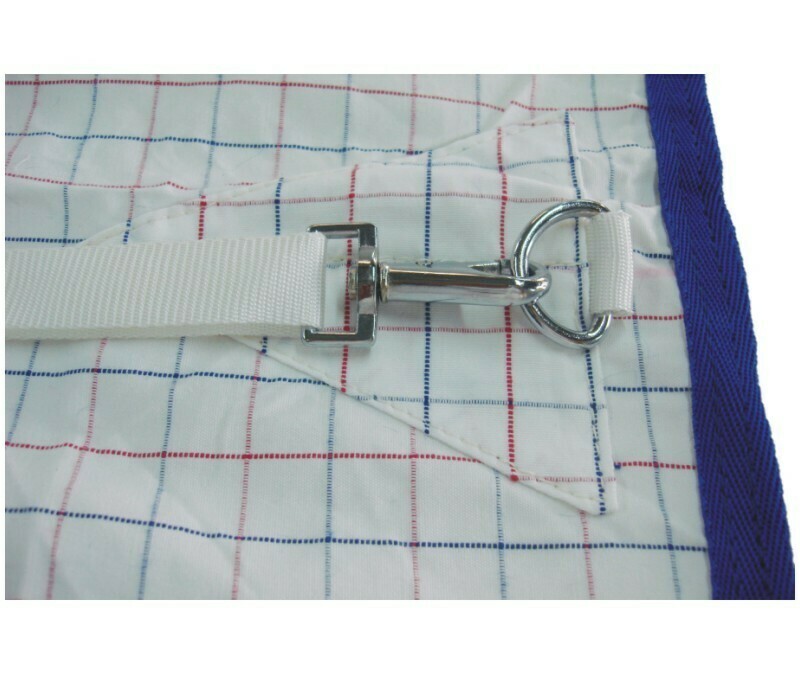 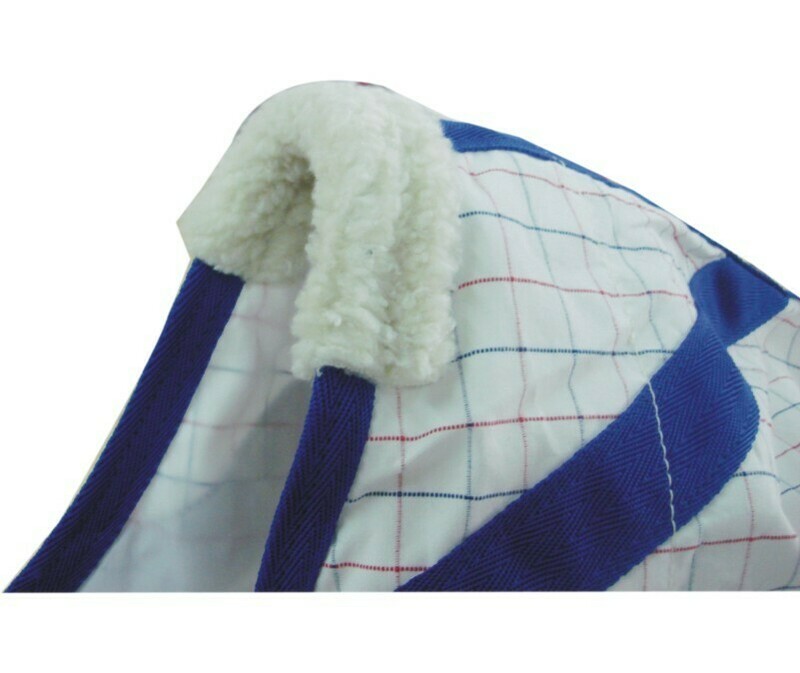 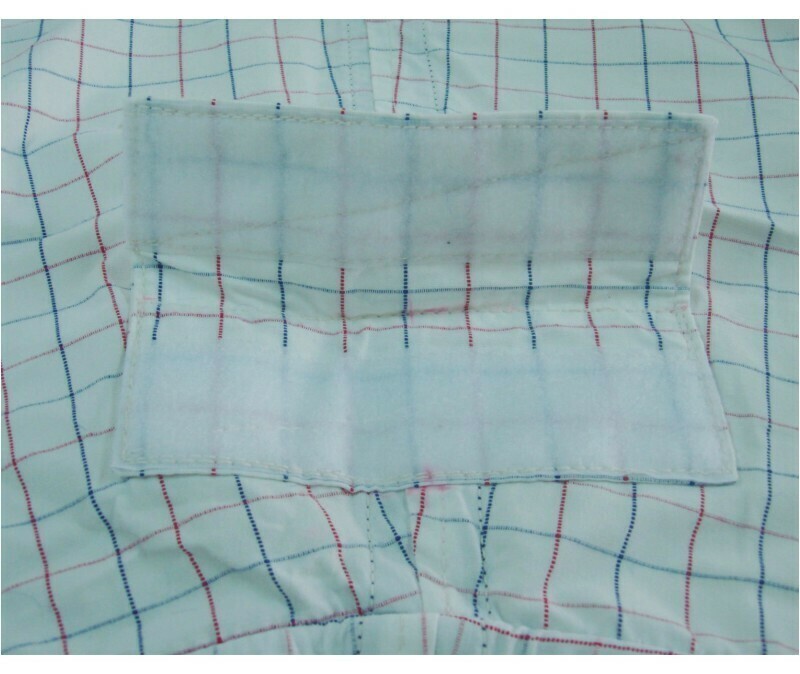 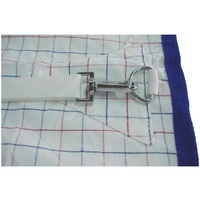 Special design Polyester Mesh fabric insertions for airflow. 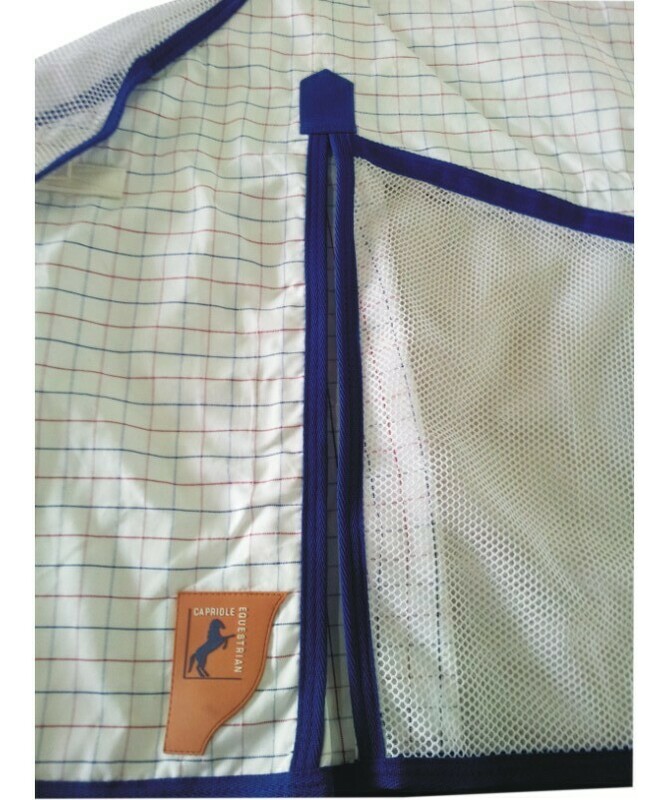 Bound with a matching Royal Blue PP binding.